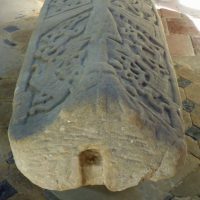 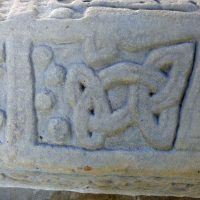 The Hickling hogback is a type of Anglo-Scandinavian grave cover in St Luke’s Church, Hickling, Nottinghamshire. 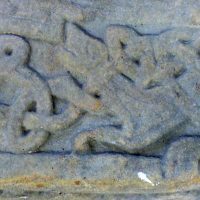 It is the most southerly grave cover of this type in England. 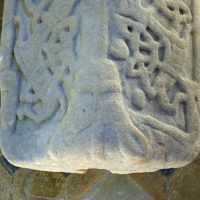 It appears to have been carved from the remains of a Roman column, hence the notch in the end of it. 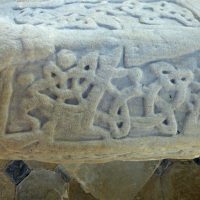 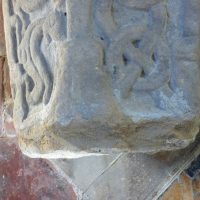 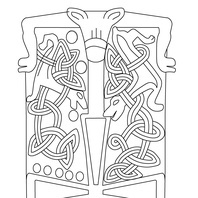 The stone features Scandinavian Jelling-style decoration indicating an expression of Scandinavian identity and muzzled bears on each end which are thought to be indicators of a pagan identity. 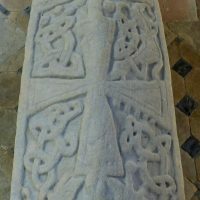 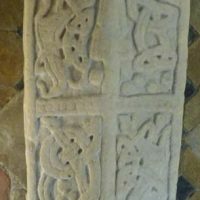 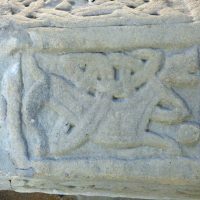 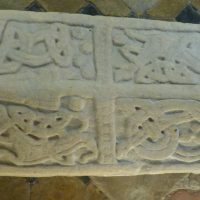 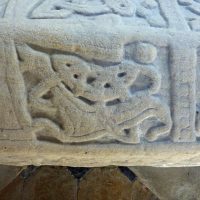 However, the stone also features a large cross showing that the commissioners of the carving had a strong interest in expressing the Christian identity of the deceased. 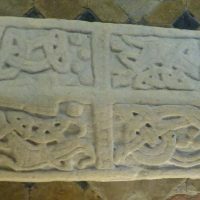 As such, this stone is designed to show that the person buried under it was a Christian Scandinavian. 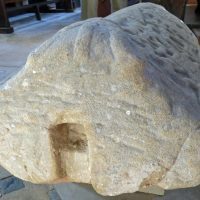 You can see the original at St Luke's Church, Hickling, Nottinghamshire. 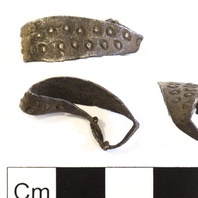 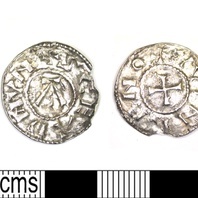 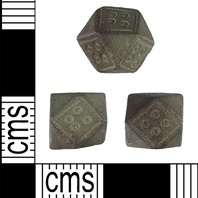 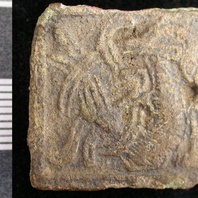 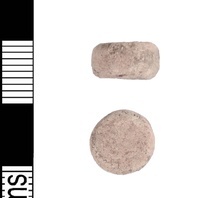 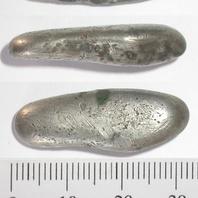 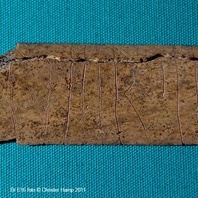 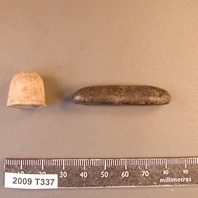 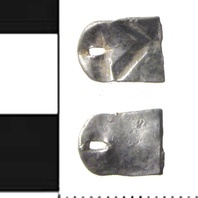 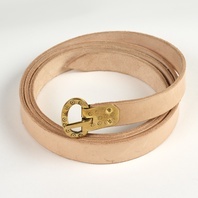 This object is related to Hickling, Nottinghamshire. 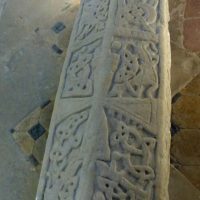 Find out about Hickling, Nottinghamshire. 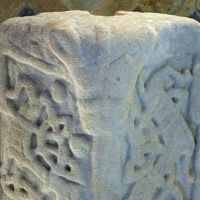 Paul Everson and David Stocker, Nottinghamshire (Corpus of Anglo-Saxon Stone Sculpture XII), Oxford: Oxford University Press, 2015, pp. 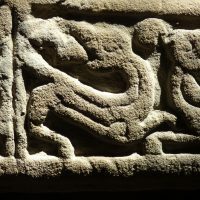 115-25.